Brand identity portfolio presentation. 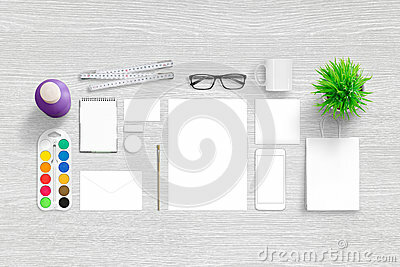 Top view scene with , blank stationery. Smart phone for app design showcase.